In 2017 the financial services industry asked: What is open source and why does it matter? This interest in open source itself is a huge milestone for an industry filled with legal and regulatory hurdles. Not only was open source a topic of interest in 2017, but banks and FinTech start-ups took it a step further – realizing the benefits of collaboration, they began to embrace open source and integrate it into their core strategy and value proposition. Read Open Banking Starts with Opening Bank Culture and The Symphony Software Foundation: Bringing Open Source to Wall Street to hear more about these exciting changes. Along with the industry as a whole, 2017 was a whirlwind year for us! We realized many milestones and accomplishments, from hosting our first major open source and FinTech event, the Open Source Strategy Forum, expanding our Open Developer Platform (ODP), to receiving our largest open source contribution yet, Deutsche Bank’s Plexus Interop. This year was the year that the financial services industry not only acknowledged open source, but truly began to embrace it – and we are excited to keep the momentum rolling. Our goal is to make it easy for banks to open source by building a community, providing best practices and providing members with a secure and compliant way to open source. This year we saw eight new members come on board including gold member, Ipreo, and silver members, Arcontech, BANKEX, ChartIQ, Cloud9 Technologies, FinTech Studios, GreenKey Technologies, and Tick 42. In June, we held our 2017 Annual Members Meeting which welcomed over 50 attendees and was our most successful meeting to date. We saw the community come together to interact, build bridges, and unleash the value of open source collaboration. New member, BankEx, joining us all the way from Russia! In addition to our members, we’ve built a huge online community and partner network over the past year which we will continue to embrace and engage in conversation with in 2018 and beyond. Our members are making great strides in open source contributions. In May, gold member, OpenFin open sourced its core technology under an Apache 2.0 licence in a project called Hadouken. Later, BNY Mellon open sourced its first project, CodeKatas, an important milestone for the financial services industry. In October we saw our first contribution from a bank with Deutsche Bank contributing over 150,000 lines of code from its Autobahn banking software platform to the Foundation, and that same month, platinum member, JP Morgan Chase, launched a new interbank payments platform built on the Quorum blockchain network. In Q4, Symphony Communications Services LLC announced two contributions to the Foundation including the libraries behind S2, their next generation microservices core platform as well as elements of its crypto libraries, adding almost 400,000 lines of code contributed to date! The Open Source Strategy Forum, the first of its kind: In November, we welcomed over 300 industry leaders from financial services, open source and enterprise software to establish a vision for open source collaboration in financial services. Attendees chose from over 30 sessions across four tracks including executive, legal, community, and technology. Speakers from JP Morgan, Goldman Sachs, BNY Mellon and more discussed the why and how of open source engagement and how it will play a role in the future of fintech innovation. At the event, Deutsche Bank also announced the details of Plexus Interop, a major new open source contribution to the Foundation. The event was made possible by platinum sponsors BNY Mellon, Black Duck Software, GitHub, NodeSource, and Red Hat; and gold sponsors Acquia, Fenwick & West LLP, Flexera, Open Compute Project, and WhiteSource. Want to know more? Read more about OSSF2017 as mentioned in Forbes, American Banker, FTF News and Benzinga! Missed it? Mark your calendars! The next Open Source Strategy Forum will take place on Wednesday, November 14, 2018 in New York City. Follow @OSStrategy on Twitter for updates. Learn more about the Open Developer Platform, the trusted venue for FinServ collaboration. Figure 1 shows top-line project growth and maturity up to December 31st, 2017. As you can see, we continue to have solid growth in project count and perhaps more importantly, continued maturation of projects through the project lifecycle. Figure 2 shows the project health chart. From this chart we can see that most of our larger projects are active, both in terms of recency of activity (X axis) and relative amount of activity (bubble size) - a good indicator of project health. It’s also interesting to observe the bimodal distribution in this graph - there is a clear clustering of larger, recently active, healthy projects to the right of the graph, and a scattering of smaller, inactive projects trailing to the left. While expected, it is gratifying to see this typical open source project portfolio pattern starting to form in our community. The metrics system provides you with many valuable insights into the activity and momentum of the open source projects we host. If you’d like to see more Foundation systems included, or have a need for specific reports, please let us know! In 2017 we made great strides in bringing open source to the forefront of financial services but we’ve got a long way to go! The new year will bring financial services even closer to unlocking the full potential of open source collaboration and our goal is to create a trusted, independent playing field for the industry to participate. 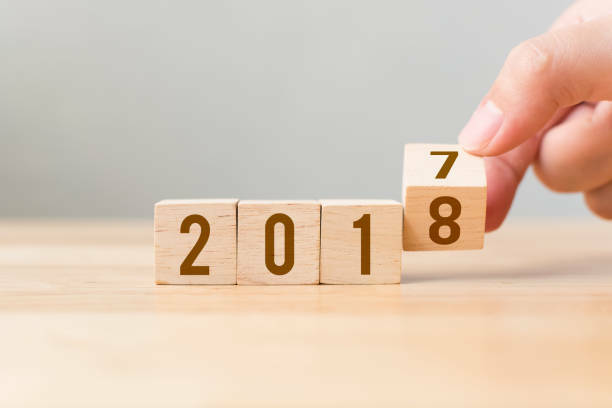 What’s 2018 got to offer? We’ve got lots of exciting news coming up! Subscribe to our blog, join our next monthly meetup, or follow us @symphonyoss to stay up to date!